Text & Photographs By Philip Tulin © All rights reserved. The easiest way to ruin a perfectly good backpacking experience is to have clothing that does not perform well. The clothes must be comfortable and protect you from the elements (wind, rain, snow, etc.). Layering your clothes is the most effective way to keep your backpacking experience both happy and safe. Layering uses a number of types of clothing to create a comfortable and effective result. By mixing and matching the types of layers, almost every situation that can occur while backpacking is covered. By having the right combinations of layers, the backpack will be lighter to carry. Layering consists of lightweight clothing, wicking clothing, inner layer, mid layer, insulation layer and outer layer (jacket, etc.) Wicking clothing keeps you dry by pulling the sweat from your skin and transferring the wetness to the outer layers. Layering will keep you warm when it is cold and keep you cool when it is hot. Inner layer clothing wicks the moisture from your skin. This layer is usually worn when there is the possibility of aerobic activity and during moderate to cold conditions. Mid layer clothing protects you during good weather conditions and should be comfortable. Mid layer clothing are usually long sleeve shirts, T-shirts, etc. Insulation layer clothing is for additional warmth during colder environments. It is worn when conditions become extremely cold and the inner and the mid layer does not provide enough warmth. All the layers worn together should be comfortable and not too bulky. The outer layer is a rain jacket, hiking jacket, rain pants, hiking pants, etc. The outer layer protects you from the rain, wind, snow, etc. You should always pack outer layer clothing with you even if you don't think you might need that layer. During emergency situations, the outer layer might be the layer that protects you from a disaster. There are many choices of fabrics for all the layers. The most important reason to use a specific fabric is based on the type of weather conditions that might occur. If the weather is hot, cotton absorbs moisture and also takes a while to dry. During hot weather, cotton is very effective. Capilene® and Polypropylene are very effective wicking fabrics. They evaporate quickly. Fleece is very effective for cold situations and some fleece have wind stopping ability built into the fabric. The outer layer choice is the most complicated. Do you need water resistant/breathable, waterproof/non-breathable or waterproof/breathable? There are always pros and cons associated with each choice. The water resistant/breathable outerware is usually the least expensive, for shorter trips in good weather and the chance of inclement weather is low. The waterproof/non-breathable is totally waterproof, but also is much hotter to wear because the outerware does not let the sweat or heat out. They must have openings to vent out the sweat or heat. 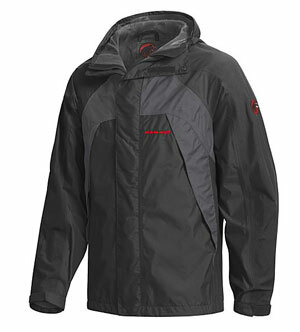 The waterproof/breathable outerware is the most expensive and work in the most variety of situations. Don't forget to learn how to maintain your backpacking clothes correctly because incorrect methods might damage your backpacking clothes and choose your backpacking clothes wisely.